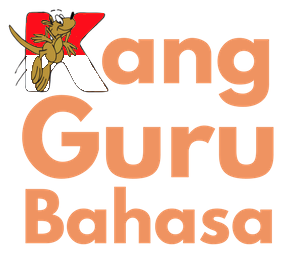 What is Kang Guru Bahasa? Kang Guru Bahasa is a play on words. I am still young (30) and most of my students are adults. So instead of the more common "Pak. Guru" I chose Kang Guru. Actually this has been a joke for a long time because it sounds like you are saying "Kangaroo" and I am also Australian so it fits me just right. Finally "Bahasa" means "Language" as I teach both Bahasa Inggris (English) and Bahasa Indonesia (Indonesian). So I am a young Language Acquisition Coach and also hopefully a friend and ally to help you in your language learning journey. Please scroll down to find out more about me and how you can fast track your language learning journey with Indonesian or English. ​Mr Hugh Elliott completed his school in Victoria, Australia, and has been based in Jakarta, Indonesia, since 2007. He has always had a passion for teaching and curriculum development. He began working in Indonesia as an English teacher for EF English First, then as the English Coordinator for Syafana Islamic School, soon becoming the coordinator and head teacher at the Join and Trust Learning Centre, following that he has been the language coordinator and an educational consultant for several other institutions and schools. His tertiary studies at the University of New England included dual majors in Indonesian and Linguistics (which is the study of language). He also used his minors in history and literature to further his investigation of Asian culture. Mr Hugh Elliott uses his years of experience in the Indonesian language, his experience as a curriculum developer, and as a teacher, to deliver effective and engaging tutorials and coaching. As Mr Hugh Elliott 's student, you will be able to invest in a one-on-one coaching arrangement with him. Dedicated to his online students, Mr. Elliott can accommodate a variety of time zones around the world so that students anywhere can benefit from his expertise. 1) Daily (a coaching session every weekday, 5 days a week). 2) Regular (two or three coaching sessions every week). The minimum commitment from students is one 4 month term, this is so there is enough time to experience true results. Payment can be made by both credit and debit cards; by local bank transfer or Paypal. To find out more about either Indonesian or English coaching just click on the corresponding tabs to the left of this page. Or if you'd like to get in touch with Mr. Elliott please click on "Apply Now!" at the bottom or top of this page or the "Contact Kang Guru" section or just send an email to: Hugh_Elliott@outlook.com.